I will teach them literature, poetry, culture. I will teach them The Waste Land ! I will be the Best Teacher Who Has Ever Lived! Or so The Secret Teacher thinks. On his first day at an inner-city state school he gets nuked. The class he is made to cut his teeth on are an unruly mob stuffed with behavioural issues. There is: Milosz, who is put in detention for committing the sin of Onan with a Pritt Stick Kieran, the class rebel Donnie, a hard-working kid desperate for approval Mercedes, a volatile rude girl and Salim, who loves Bollywood and the number 5. Somehow, The Secret Teacher needs to enthuse this lot with a love of books. Or at least keep them sitting at their desks until the end of the lesson. And then he's got to deal with the Observations, marking, standardisations, book checks, OFSTED, Educational Consultants, spreadsheets, personal statements, school trips, strikes, class, race, love, death, birth, manhood, dry cleaning, the end of literary culture, the end of the Old World, the whole shebang ... In this vivid account of his first few years in the classroom, The Secret Teacher grapples with the complicated questions of how to teach, how we learn - and how little he actually knows. He celebrates the world's greatest stories, the extraordinary teachers he has worked with, and the kids: bolshy, bright, funny and absolutely electric. The result is a book brimful of wit, insight and tenderness. A witty, candid and heartwarming memoir for both teachers and parents, it follows the experiences that come from teaching in a modern secondary school. 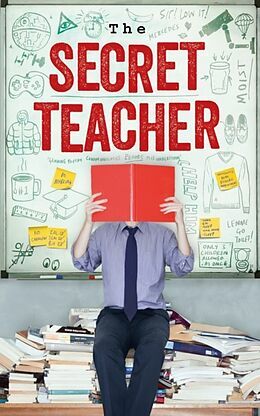 "The Secret Teacher" is an anonymous blog at the "Guardian's" Teacher network, and has more than 200K professionals signed up. I will teach them literature, poetry, culture. I will teach them The Waste Land! I will be the Best Teacher Who Has Ever Lived! Or so The Secret Teacher thinks. On his first day at an inner-city state school he gets nuked. and Salim, who loves Bollywood and the number 5. In this vivid account of his first few years in the classroom, The Secret Teacher grapples with the complicated questions of how to teach, how we learn - and how little he actually knows. He celebrates the world's greatest stories, the extraordinary teachers he has worked with, and the kids: bolshy, bright, funny and absolutely electric. The result is a book brimful of wit, insight and tenderness.